What a wonderful story from one of our students Claire and her experience with Chirunning and her metronome. Three years ago I ran my first parkrun in Malahide. I ran it in 36:31. I was delighted to have run 5k non-stop and pretty pleased with my time. I then started to wonder if I could go a little faster. For the next couple of parkruns the answer was no, but I liked the atmosphere, the route is lovely and the encouragement you get while running is so supportive I kept going back. Gradually I started shaving time off and last year I hit a milestone, I got under the 30 minutes and I was thrilled. I figured I had reached my limit, run my fastest, I couldn’t imagine going any faster. Then disaster, after a minor accident I couldn’t run for 6 months. I kept eating as if I was running, I stacked on the weight and my blood pressure went through the roof, I had to get back on the road. In May I started doing 15 minutes, then 20, 30, and got back to a slow 5 k…. Happy Days! In June a few things happened that changed my running. I decided that I was going to get out and run at least three times a week and that I would do one longer run, increasing the distance by 1k per month. I also made myself go into the strength and speed class to challenge myself. During the class Mary talked about the chirunning metronome, and had us try running to a constant beat. At my next parkrun, I gave it a go. I counted 1,2,3,4 ; 1,2,3,4 for the whole 5k. I didn’t look at my watch once, I couldn’t believe it, I did it in 27:23, 2 whole minutes off my previous PB…. counting works ! I immediately emailed Mary, I wanted a metronome to do the counting for me. I went out the following week armed with my new metronome. I realised that I get distracted while running but that constant beeping didn’t allow me to and I shaved another 30 seconds, I was into the 26’s. It’s now October, I take my metronome with me on all my runs and I rarely look at my watch. 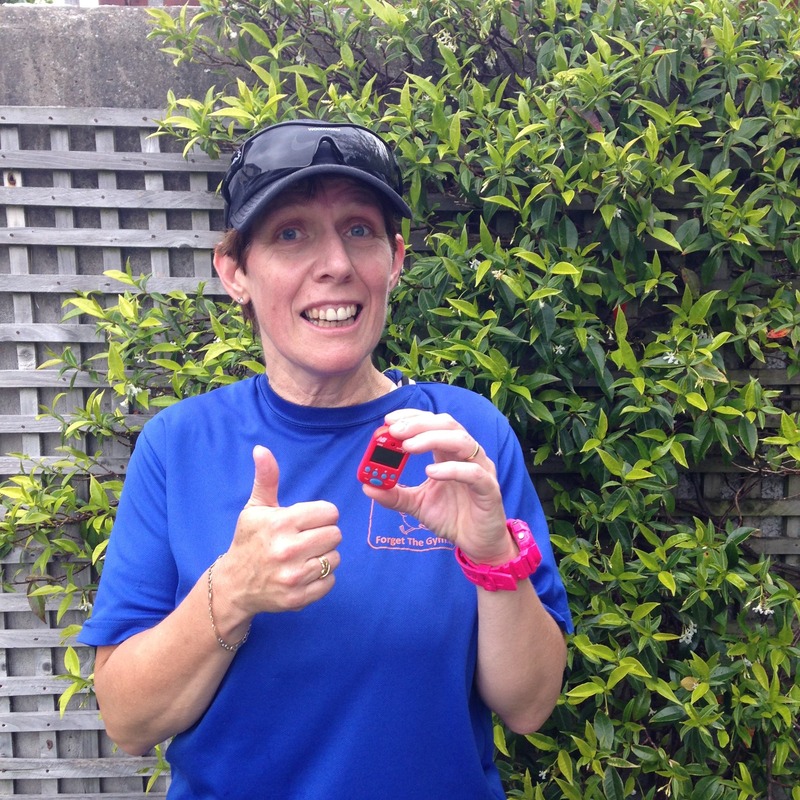 My long run is up to 10k per week, I did my last parkrun in 24:51 and one other thing, I turned 50 last week! Happy birthday Claire and we are so proud of you an all your running achievements. What a comeback you have had. Wishing you many happy years of running ahead. Find out more about Chirunning and how it can help your running. Buy your metronome from ForgetTheGym, send Mary an email to order.